San Francisco is well known for its cable cars that run on steel rails with a slot between the tracks. Passengers (tourists) like to hang onto the poles for a good photo souvenir. But did you know the city is also known for vintage cable cars? If you take the F-line Historic Street Car, there's a high chance you will be able to sit in a cable car from as far back as 1928. In 1982, San Francisco was going to cancel all cable car service for two years to fix the entire system. But then cancelling the cable car would lose revenue from tourists who are keen to ride on the iconic cars. So in the same year, the Historic Streetcar Festival started, bringing in other street cars from places like Milan, Melbourne, London and Mexico City. 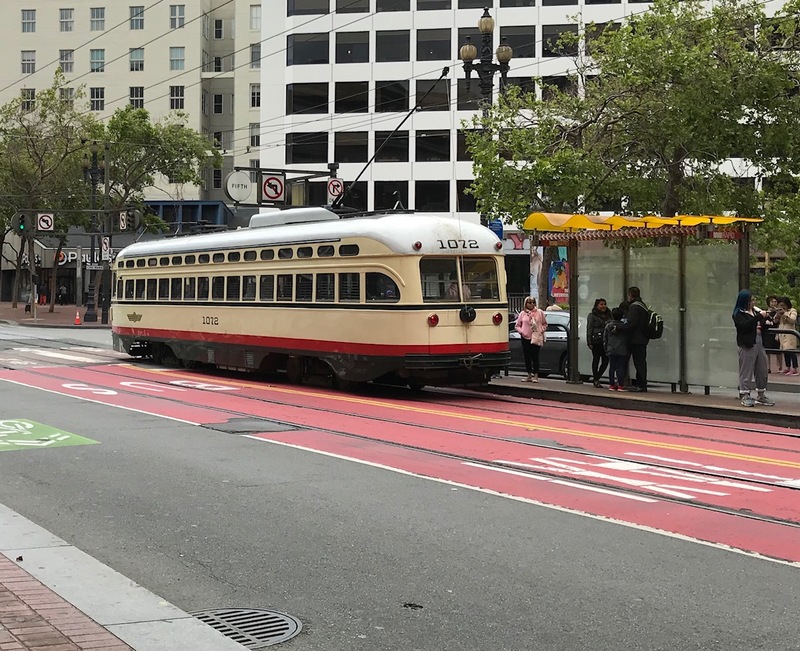 It was so popular the revamped old streetcars stayed in San Francisco. It's neat to see these older streetcars in use and making people's rides around the city even more memorable for US$2.25 for adults, US$1.00 for children and seniors.